Just last week Junghwan Lee was left bitterly disappointed after his play-off loss to Seung Hyuk Kim. 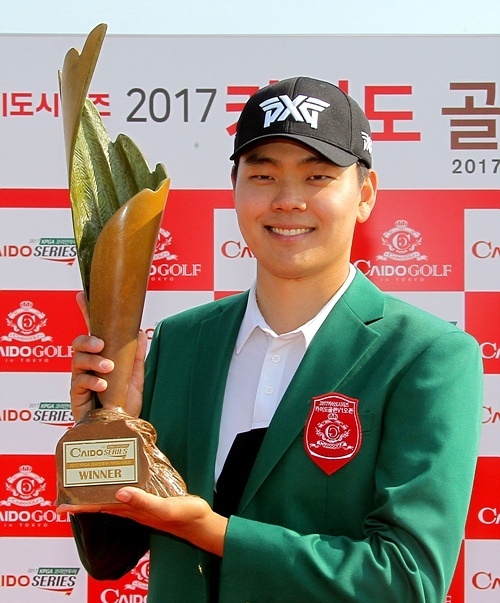 Incredibly, the same two players could not be separated again a week later at the Caido Series Golden V1 Open, but this time Lee came out on top, to claim his first KPGA Tour title. 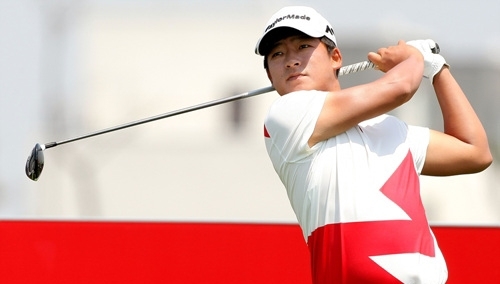 This was the fourth consecutive play-off decider on the KPGA tour. Lee, who completed an impressive wire to wire victory, started the final day with a three shot lead. He looked quite comfortable out in front, beginning his final round with two consecutive birdies. 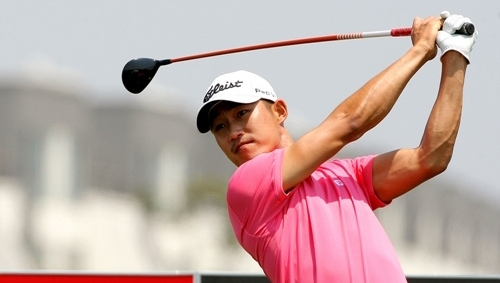 Kim matched Lee’s opening birdies, but extended his one further to the third hole, closing the gap to two shots. 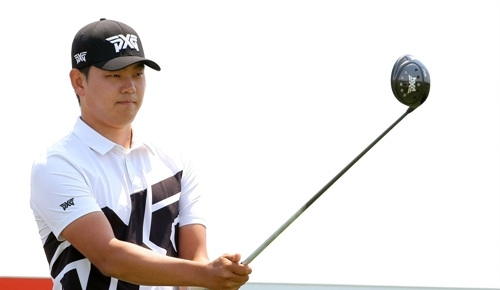 Eunshin Park,who began the day tied second with Kim, also kept up with the birdie fest beginning, by registering two in his first three holes. He notched up one more birdie on the fifth, but parred all the way home from there to finish third. 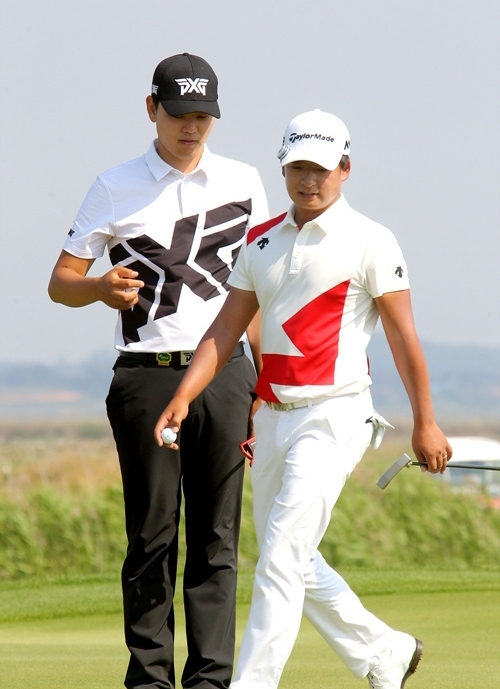 A two shot swing on the 17th levelled things up between Lee and Kim and the duo both parred the last, setting up a second consecutive play-off between the duo in the space of a week. 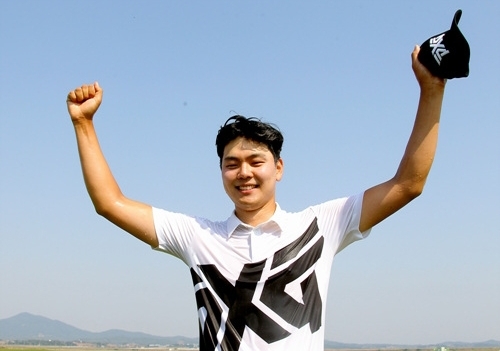 This time round it was Lee who took the honors on the first play-off hole, to secure his maiden KPGA Tour victory.